We have been talking a lot about laptops and what to look for when buying or selling your laptop. But sometimes we need to address our phones needs as well. They are even more present in our lives than laptops and tablets. 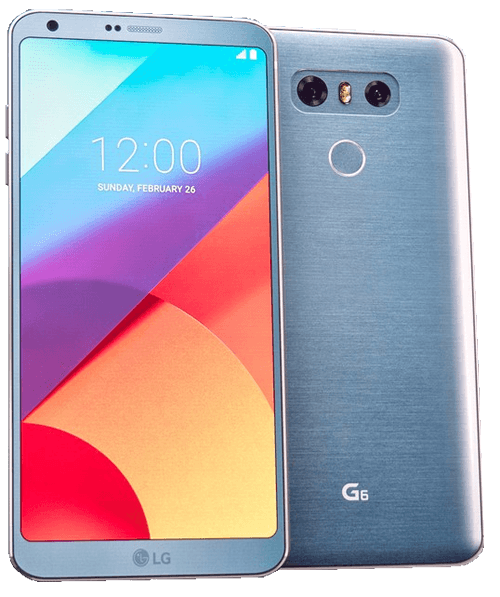 So today, let’s step away from the laptops for a minute and talk about the new LG G6 that’s soon to hit the markets. 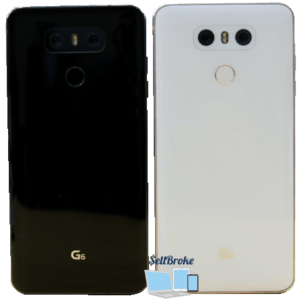 With the new phone LG will compete with Samsungs Galaxy 7 and iPhone 7 as well as other best smartphones on the market. Lg has put together its new flagship phone. 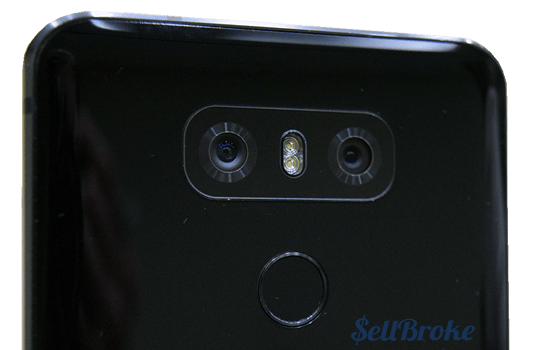 It’s called the LG G6. 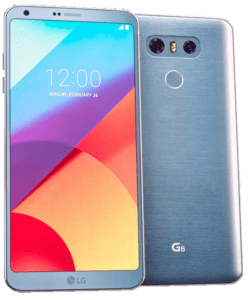 What you need to know about this phone is that LG stopped with the gimmicks and just produced a really nice, solid, functional phone. The G6 is all about nailing the basics. This is a very straightforward, sturdy, surprisingly little phone. The centerpiece of this phone is the 5.7-inch display which goes very nearly edge-to-edge. That’s great because the thing is not very different in size to the Google’s phone, Pixel. Actually, it’s a little bit smaller yet it manages to fit a bigger screen. LG has pulled it off with a couple of neat design features. We will discuss some of the things you should consider before buying this phone. You’ll notice that the corners of the screen are curved. The screen itself is actually curved and they do that to protect it. So when it hits the ground when yuo drop it, it is unlikely that you’ll crack the screen since it does not have square edges. The other thing you should know about the screen is it is an 18:9 aspect ratio. It is super tall, or wide (depends on how you’re holding it). And what that does is enable a bunch of very clever tricks. One of which being is while multitasking you can see more of the two things on the screen because it is taller. LG has also made a really neat camera app they call “Square Camera”. You take a picture on the top and it immediately shows you what you’ve taken a photo of on the bottom. Now you can see if your photo is lined up the way you wanted. Other things that are standard and straightforward about this phone is it is waterproof with an IP68 rating. It has a bunch of different kinds of Gorilla Glass. On the front it is Gorilla Glass 3, which makes it pretty thin. On the back, you have Gorilla Glass 4 on the lenses that prevent scratches and scuffs. it also has a curved Gorilla Glass 5 back. LG planted a 35mA battery which is actually a little smaller than what LG could have done. But they wanted to make this thing reliable and sturdy. They claim you can get more than a day out of the phone under normal usage. My big question is: what’s a “normal day of usage”? On the back, you’ll find the power button and a fingerprint sensor. You’ll also notice your two cameras. one is a wide angle lens at 225 degrees and the standard lens at 71 degrees. 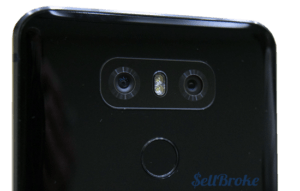 What this allows LG to do is have either a toggle or zoom mode from wide-angle or telephoto. This is supposed to allow you to zoom in better with more accuracy and less interference. Since it has such a long screen with the 18:6 aspect ratio, when you take pictures it lines up the photos in a carousel along the left side of the screen for easier previewing rather than in a tiny sized thumbnail found on all other phones. In terms of specs, it’s a Snapdragon 821 processor which isn’t the latest and greatest but is still a very, very good processor. It’s got 4GB of RAM for running apps and 32GB of local storage and it also has expandable storage. 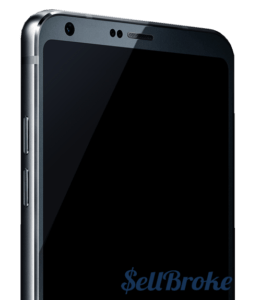 Whether you are looking to sell a good or broken phone you should consider using Sell Broke. You will find our service very convenient and that our offers reflect high market value of used and defective smartphones.